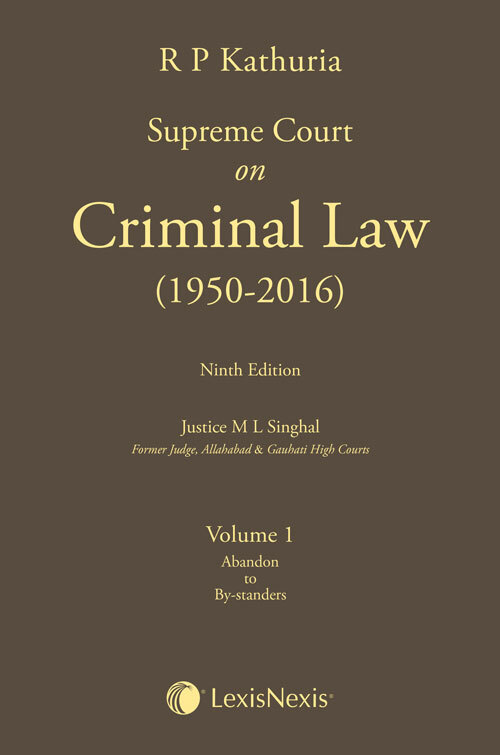 Since the publication of the last edition in 2013, there have been plenty of legal developments in Indian criminal jurisprudence. Important changes have been brought about vide the recently enacted Amending Acts such as the Criminal Law (Amendment) Act, 2013, the Narcotic Drugs and Psychotropic Substances (Amendment) Act, 2014 as well as new Acts such as the Sexual Harassment of Women at Workplace (Prevention, Prohibition and Redressal) Act, 2013 and the Protection of Children from Sexual Offences Act, 2012. In addition there have also been several important case law developments in criminal law. This forthcoming edition of this monumental work on criminal law will be extensively updated to ensure that the impact of statutory as well as case law developments is fully captured. The new edition is updated to include cases from 2013 to till date.